‘Heroes’ (the inverted commas are part of the title) is a freeform / chamber larp for 4–5 players and a GM, written by Mo Holkar. It was written for Fastaval in 2016. “‘Heroes’ is a group drama of conflicting loyalties. It is set in East Berlin in the mid-1970s, in two locations: a room in a derelict building that overlooks the Wall, and a room in a guardpost that protects it. It is realistic in tone. “The freeform is made up of five acts followed by an epilogue. 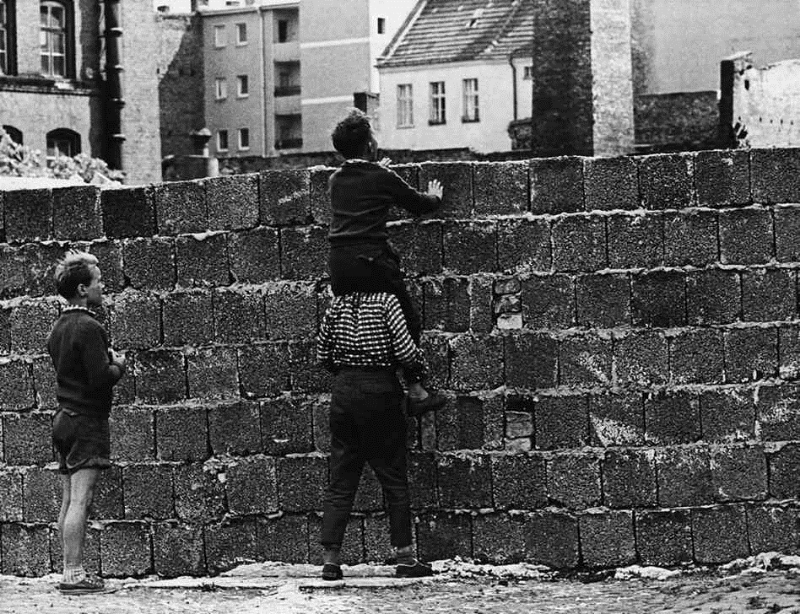 In Acts 1, 3 and 5, players take the roles of a group of five disaffected young East German friends and lovers who meet to talk about crossing the Wall into West Berlin. In Acts 2 and 4, the players take the roles of a squad of five border guards whose duty is to prevent such escapes, using deadly force. “The border-guard characters are designed so as to resemble alternative versions of the escaper characters – what each of them might have been, had their lives taken the path of service to the State rather than dissatisfaction with it.